Sweeping SoHo | SoHo Memory Project. If you haven’t heard yet, SoHo has a new “neighborhood improvement” group, an all-volunteer-run nonprofit called CleanUpSoHo dedicated to keeping SoHo streets clean. I, for one, have seen a huge improvement lately. 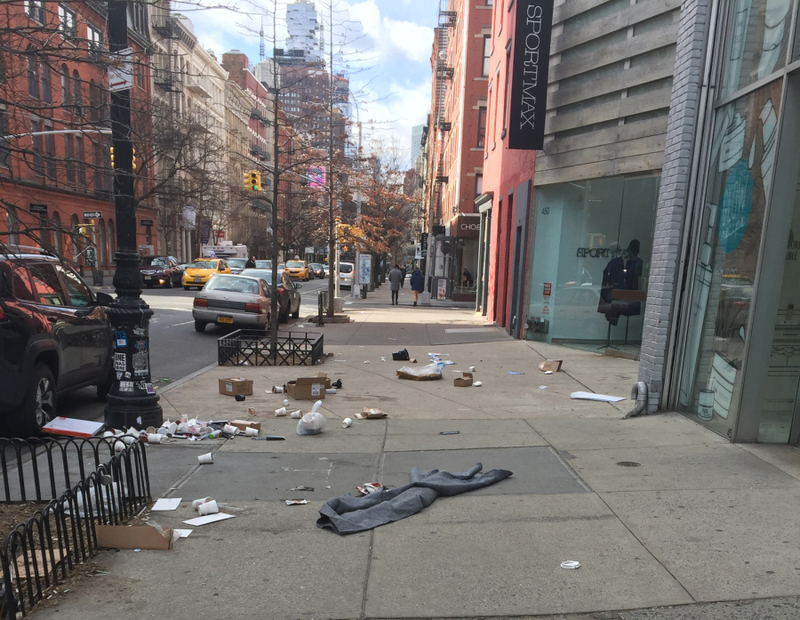 Our once relatively rubbish-free sidewalks became dotted with discarded shopping bags, coffee cups and food containers after the Association of Community Employment Programs for the Homeless (ACE), subsidized by its founder, SoHo resident Henry Buhl, stopped cleaning our streets in the fall of 2016 due to funding challenges. And the problem only worsened as the weather got warmer and tourist season ramped up in the spring and summer of 2017. SoHo is no stranger to trash talking. 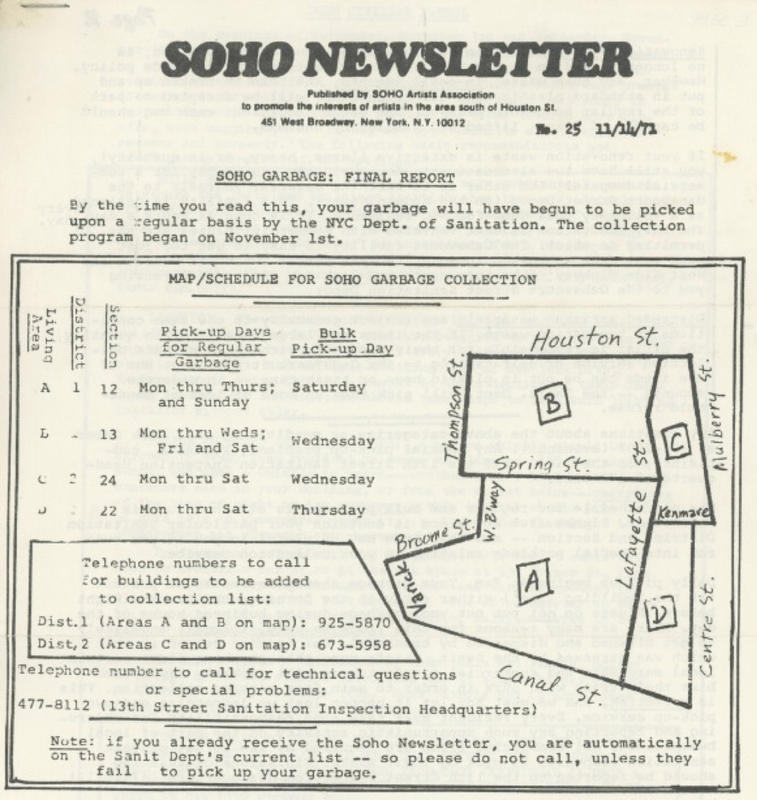 In the early-1970’s, after it became public knowledge that artists were living in SoHo’s then-manufacturing buildings, the SoHo Artists Association (SAA), a neighborhood advocacy group, lobbied for curb-side pickup of residential trash. Before then, because SoHo was not zoned for residential use, the City of New York Department of Sanitation (DSNY) did not pick up household trash. Residents had to find creative ways to dispose of their trash — often illegally depositing it in public trash bins and commercial dumpsters. Businesses often complained, and artists were fined if trash was traced back to them through discarded mail with their name and address. At one of the early meetings of the SAA, there was angry debate as to how to deal with sanitation. The "pros" were fed up with no public service and having to schlep our trash blocks away; the "cons" were afraid of exposing our lofts to various City-department inspections and consequently losing our spaces, since most of us were illegal residents living precariously on the edge. A lot of paranoia. I even remember some of the screaming fights by the more radical underground resident artists. Me? I said, let me try to talk directly with the local Sanitation guys -- see what they think. As it turns out, they were fine with idea of scheduled pick-up times for artists' personal trash, and agreed to make no bureaucratic connection with other City departments, namely Fire & Police. Inevitably, these other agencies 'recognized' the artists, not as legal, but as acceptable — since SoHo was already becoming a cultural voice in the boom of the early 70s, and the City liked us. Yes, they liked us! For the sanitation guys (I knew them by name), it was a hoot to see how these screwy artists lived and worked. It gave them a certain panache as somehow being part of The Culture. Fast forward to the early-1990s. SoHo had become a tourist destination as clothing stores and restaurants opened, slowly replacing the art galleries that slowly began moving to Chelsea. More people, more trash. This time on the sidewalks and streets. Enter SoHo Partnership, founded by Henry Buhl, “to address problems particular to our urban environment and to improve the quality of life in the community.” The partnership was unique in that it was the first collaboration between a community and a human services organization in New York City with the primary goal of providing job opportunities for the homeless. The organization was largely funded by donations from local residents and businesses. 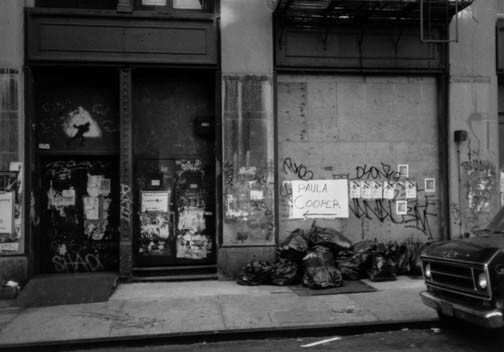 A not-for-profit organization, SoHo Partnership provided training and employment opportunities to homeless and jobless individuals and kept the streets of SoHo clean. In 2010, SoHo Partnership was folded into A.C.E., its umbrella organization, but continued to maintain SoHo’s streets. As mentioned earlier, because of funding challenges, largely due to a decline in participation on the part of an increasingly transient and faceless community of commercial business owners, A.C.E. discontinued street cleaning in SoHo in the fall of 2016. Commercial property owners and residents along the Broadway corridor between Canal and Houston formed the SoHo Broadway Initiative (SBI), a neighborhood improvement district and the first New York City supported Business Improvement District to provide equal representation to commercial and residential stakeholders. SBI has a Clean Team that cleans the sidewalks along Broadway. But where does that leave the rest of SoHo? A group of residents who were fed up with stepping over mounds of trash bags and shopping bags on their way home, not to mention appalled by the general dumpiness of their environs, formed a neighborhood improvement group called CleanUp SoHo. Begun as a Twitter campaign to call out offenders by posting photos of storefronts and brand names, rather than relying on an increasingly transient retail constituency, CleanUpSoHo has begun raising funds from various neighborhood sources, including co-op/condo associations, landlords, and building managers. They have succeeded in raising over $100,000 from various sources to jumpstart a street cleaning campaign. CleanUpSoHo has begun replacing approximately 100 existing/missing small wire mesh baskets with sturdy, high-capacity 45-gallon receptacles approved by DSNY through their Sponsor-A- Basket program. In addition, CleanUpSoHo has hired Wildcat Service Corporation, who is cleaning the streets bordered by Houston, Mercer, Canal and Thompson. CleanUpSoHo co-founder Danielle Nazinitsky told me, “Longer term, we plan an outreach program in cooperation with DSNY to educate property owners and commercial entities about DSNY laws and regulations regarding proper trash disposal, recycling guidelines, collection schedules, commercial cartage, etc.” In the true spirit of SoHo, CleanUpSoHo is a grassroots campaign that has made true inroads in improving our community. To continue this good work, they will need our support. 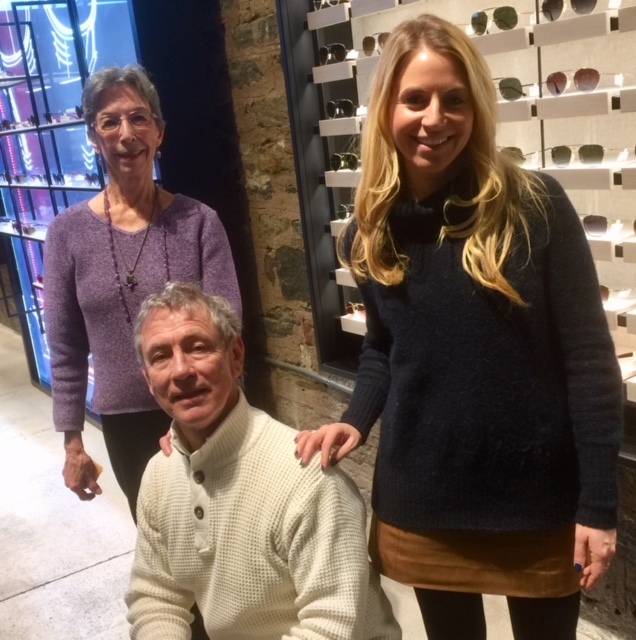 Please contact Danielle Nazinitsky at danielle@sohostrut.com or (330) 936-7928 to find out how to become involved with their efforts or to make a donation.